What does our current process look like? What processes need to be added / enhanced? (Digging into the "What") Where and how could they improve the process? What does a successful customer look like? What sort of visibility into templated tasks do we want/need? More granular detail of what CSMs should be doing for an account? High-level milestones to answer "Where are my customers at and what's coming up next?" You'll want to focus on what you're wanting to accomplish or what your objectives with your customers are. For example, which part of the customer journey needs the greatest attention (ie onboarding)? One of the benefits we have of being a Customer Success platform is that we get to engage with other CS professionals on a daily basis. 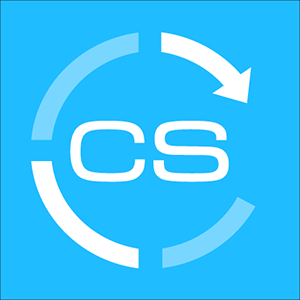 A key training we hold with clients who come onboard with ClientSuccess focuses around Lifecycle Management, the end result being able to configure SuccessCycles (templated customer plans or playbooks). With nearly 3 years of experience onboarding clients, having onboarded over 200 customers, we’ve learned general best practices of what it takes to be successful with and what eventually becomes a risk with managing these plans or playbooks. It ultimately comes down to whether or not they’ve developed, documented, and strengthened their customer lifecycle plans. Though it may seem like you can “wing it” and find short-term success, stepping back for a moment to truly understand your customer lifecycle objectives will be better for both you and your clients in the long-term. I think an easy excuse a lot of teams find themselves using is that they don’t have the time or bandwidth to discover what their customer objectives should be. Make understanding these objectives a priority. Don’t simply seek to take your clients through an implementation checklist. Dedicate time, even if in just hour-long sprints, to document your process. I’d even recommend setting aside an afternoon or two in order to take a deeper dive. Involve what leaders you can or need (ie your Director, Head, Lead, VP) and start somewhere; anywhere is better than nothing at all. Try to identify at least 2-3 changes you can implement in the next 30 days. What are 2-3 changes you can try to implement in the next 30 days? I personally believe and have seen the success that comes from visualizing your thoughts. Whiteboarding or outlining facilitates the next step by helping you realize more clearly what your pains, friction points, or areas of improvement might be. Because of the work you’ll put into a whiteboarding or outlining exercise, the areas you have control over will become more apparent. It’ll also be easier to create a list of actionable items. Consider introducing 2-3 changes at a time and always look to iterate. You’ll next want to get your ideas written in a more permanent form. As we went through this exercise at ClientSuccess, we took our onboarding process and created thorough, internal training documents for each of our configuration calls. Taking the time to do this enabled us to better manage the time that was being spent with our new customers. We also reviewed what our communication looked like prior and in follow-up to each of those calls, and created more standardized templates for the manner in which we provided instruction to those being onboarded. Finally, it’s time to implement the work you’ve done. It’s ok to be scrappy (if you have to). As you’ll see in the next step, this is an ongoing process. The key here is to drive actionable change with your customer lifecycle plans. Does your company have well-documented customer lifecycle plans? What are 2-3 pain points in your customer lifecycle process? Do you have control? If not, who does? How can you mitigate? Steps 1-5 are not something you’ll only go through once; remember that your product, company, and customers are constantly changing. If you do the same thing you’ve always done, you’re likely going to achieve the same results you always have. Having a “successful” customer lifecycle is great, but when was the last time your company evaluated it’s process (ie onboarding)? There is always an opportunity to learn an optimize. How do you keep the momentum? What are 2-3 enhancements you can try to implement in the next 30 days? When was the last time your company evaluated its customer lifecycle plans? What does a “successful” customer look like? How have you provided value? How have you aligned? How do you keep momentum? What are 2-3 enhancements we can try to implement in the next 30 days? These steps are an excellent starting point if you are looking to set both you and your customers up for greater long-term success, but are certainly not comprehensive. However, by taking the time to make understanding your customer lifecycle objectives a priority, you’ll be able to focus on the value you’re able to provide to each customer.